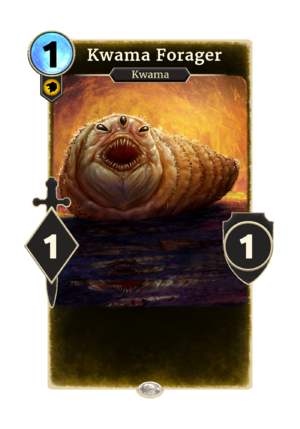 Kwama Forager is a common Willpower creature card. It is not normally obtainable, but it is created by Kwama Queen. Kwama Foragers first appeared in Morrowind. This page was last modified on 5 January 2019, at 18:24.